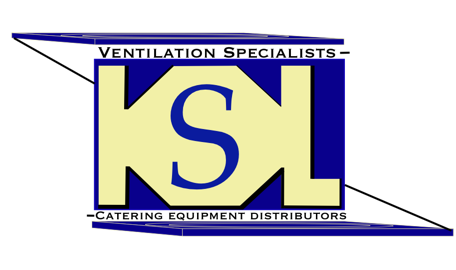 KSL has been established since 2007 and is continuously striving to bring you the best service and competitive prices different from any other catering equipment suppliers. We offer our customers reassurance and peace of mind when they purchase a product from KSL. That is why we have introduced to our customers our unique email service operating from Monday to Saturday up until midnight.You can be confident that. your query will be dealt with straight away by a real person. Our phone lines are open 8 a.m – 6 p.m Monday to Saturday for customer services and sales. First and foremost you are dealing with a dedicated team, not just a company. KSL first began to install canopy extraction systems for all types of kitchens ranging from care homes, hotels, restaurants, Churches, Temples and Mosques. Due to our relationship and trust through our workmanship, our clients wanted to purchase other catering equipments via us. In order to cater for our clients’ needs we decided to expand our business and started distributing Top Branded catering equipments that were highly recommended by our clients themselves. Since then our business has grown through word of mouth. KSL have a reputation to keep and have a huge clientele base who we still offer out of warranty service. We have started to supply catering equipments outside of the U.K.
Mr Baboul Miah (Ventilation Specialist) from Walsall West Midlands. Follow me on: Facebook, Linked in, You tube and Google Plus.